For several years, DeLorean Motor Company of Texas has been reconstituting the fruit of John Z. 's troubled loins (phrasing!). Now it's working with electric-car startup Epic EV to put an all-electric DMC-12 into production by 2013. You know what that means: Onboard power for the Mr. Fusion. Humble, Texas-based DeLorean Motor Company not only owns the DMC brand name, but it also maintains a huge stockpile of original, factory parts. The company's primary business has been restoring, servicing and selling DeLorean cars and merch, but it's also been using those parts to assemble new cars to order, using 80% original parts and 20% modern engine and suspension tech. These new models are, in effect, pro-touring versions of the original DeLorean cars. The new car the two companies unveiled today at the International DeLorean Owners Event in Houston, Texas is no run-of-the-mill electric DeLorean conversion. 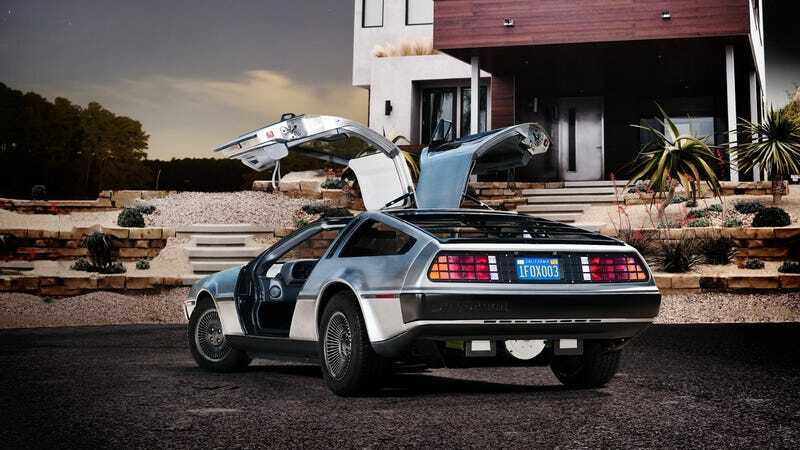 It's a development model of a car, called DMCEV, which DeLorean plans to launch into production in two years. The companies haven't released any specs yet, but if it's anything like Epic EV's Torq Roadster, it'll get a 200 hp+, 44V/156V electric motor, powered by a 24-30 KWh lithium ion phosphate battery. Sure, it's bit low on jiggawatts right now, but the companies have two years to get that sorted out. Though I guess they never did, or else they'd have come back to let us know. Kevin McCauley is the freelance designer, photographer, and writer behind the awesome Lancia Stratos font. Look for him at your next HPDE event driving a modified Nissan 350Z.